Black Console Sink China Southern Belle with Satin Nickel Bistro Legs: Southern Belle is a most proper addition to your washroom! 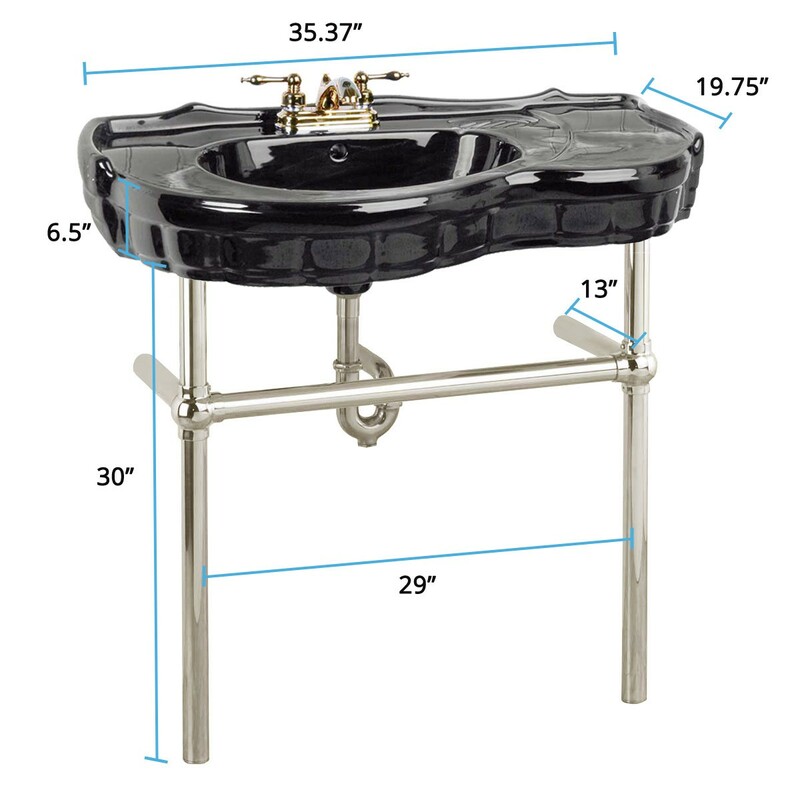 The Southern Belle console sink from Renovator's Supply features an elegant vintage design and durable scratch and stain resistant RENO-GLOSS finish. It accepts 4" centerset faucet, faucet not included. Includes Satin Nickel Bistro Legs.